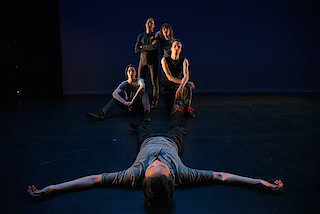 Time expands, narrative shimmers forth and slips away; formalism meets humanity in fidget's staging of Robert Ashley's opera Dust. 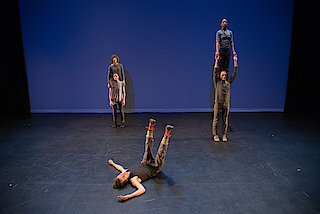 With a cast of five dancers, choreographer Megan Bridge cultivates a shifting landscape that builds, loops back and comments on itself. 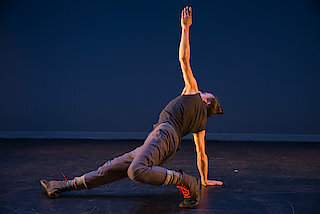 A homage to minimalism and Bridge's mentor Lucinda Childs, the choreography is tempered by an improvisatory, somatic approach to movement inspired by Deborah Hay. Video design by Peter Price responds in real time to the dancers' movements, creating a colour field effect that breathes with the dance.